Today we are back to our regular time slot (we hope!) for the talks in the gorgeous Prim Perfect Pavilion. 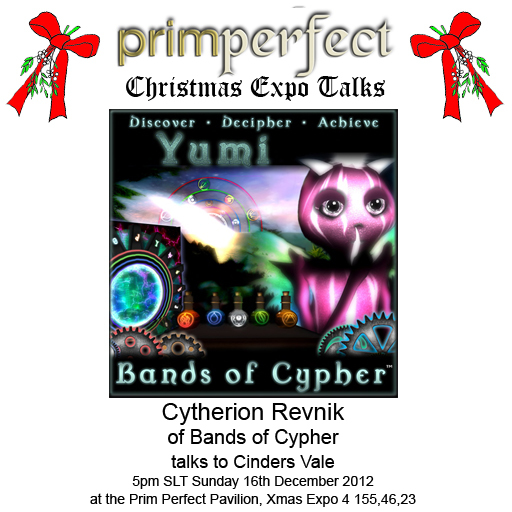 The first is at 3pm, when Saffia Widdershins will be talking to Heavenly Villa & Bill Kaye of the Centre for Business Development to learn how this new organisation is planning to help merchants struggling with the Second Life Economy, and at 5pm, Cinder Vale will be talking to Cytherion Revnik of Bands of Cypher about the Yumis, a fascinating fantasy breedable pet. The Centre for Business Development is a new group, formed by merchants and creators in Second Life who are looking for ways to businesses to come together was work coolectibvly and – it is hoped – with Linden Lab as well – to improve opportunity for all. 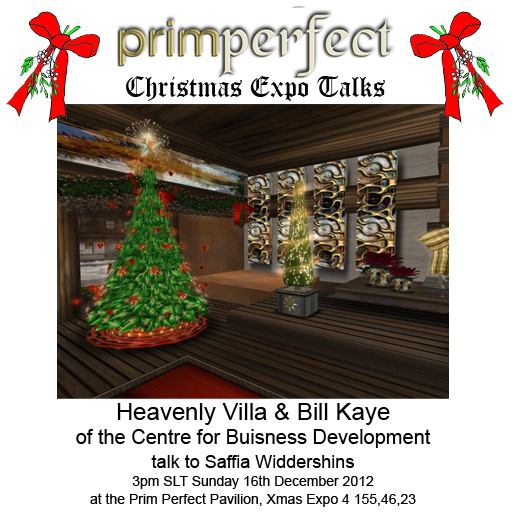 Heavenly and Bill will be talking about the problems the business sector is facing, ways of working together, and possible solutions. Yumis from Bands of Cypher are one of the range of breedable pets in Second Life, but there is a very strong and special element of games and puzzle silving built into the cute little critturs. You’ll get a chance to meet a yumi (as well as people behind the creation) and to learn all about this fascinating new pet. Previous Post: Prim Perfect Jigsaw: Everything looks Beautiful at the Avies! Next Post: Happy Hunting’s Christmas episode on the web – with the shocking season finale of The Blackened Mirror!